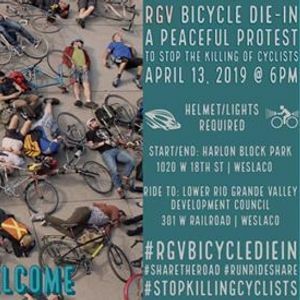 Join us as we raise our voices to stop the killing of cyclists in the Rio Grande Valley. This event is a peaceful protest that will feature a die-in. 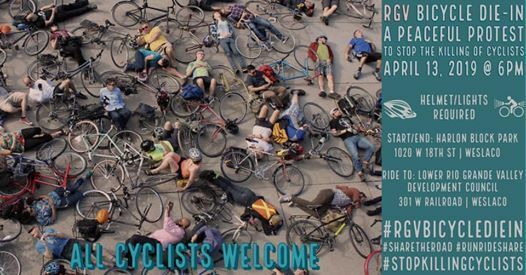 Cyclists will lie on the ground for a few minutes and simulate being dead. We want to send a message to our local governments that they need to continue building more and better bicycle infrastructure because we have the right to feel safe when we ride our bicycles. We also want to send a message to motorists that our roads must be shared. 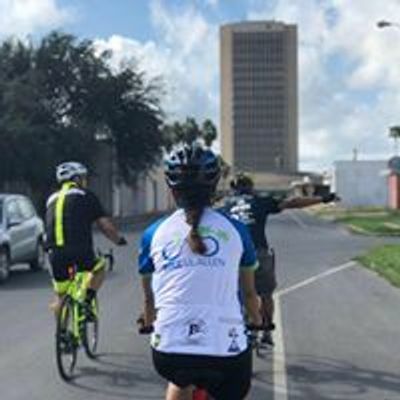 We will meet on Saturday April 13, 2019, at Harlon Block Sports Complex (1020 W. 18th Street) in Weslaco and ride to the Lower Rio Grande Valley Development Council (301 W. Railroad St.), also in Weslaco.